Norwegian sailor Oyvind Tangen, 63, captured nature at its most mysterious and beautiful while on board a research ship 660 miles north of the Antarctic. His stunning photographs of brilliantly colored icebergs, remind Tangen of, “…striped candy I bought as a child.” His images remind us of nature’s eye-candy, which is now forever documented as a testament to the majestic beauty that unfolds on our planet. 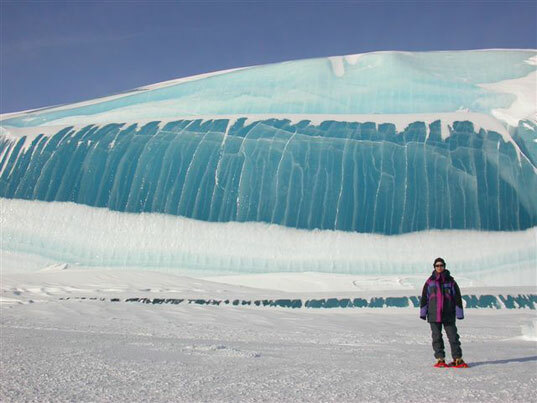 The diagonal blue stripe in the mountainous iceberg shown above (rising 30 meters above the ocean’s surface) was created when the ice sheet filled with meltwater and froze so quickly that no bubbles formed. Algae is also one of nature’s coloring tools. 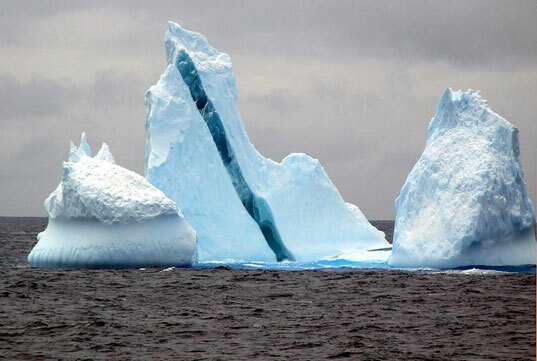 Salty seawater may freeze the submerged surface of an iceberg once it falls into the sea, and if it is rich in algae, a green stripe may appear. Other hues that color the icebergs include yellow, black and brown and are caused by sediment that is picked up when an ice sheet grinds downhill toward the sea. 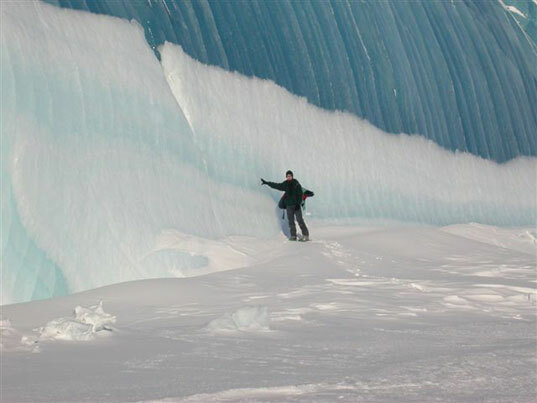 The image above is of an “ice wave” caused by glaciation, the melting and re-freezing of ice formations over long periods of time. Scientist Tony Travouillon captured the impressive, awe-inducing shots of these waves that are frozen in time. In case you’re questioning the validity of these photos and whether or not they have been doctored with photo software, Hoax-Slayer verifies that they are indeed real. In these events, Mother Nature is an artist who requires no touch-ups. Hello! ecdddbc interesting ecdddbc site! I'm really like it! Very, very ecdddbc good! Norwegian sailor Oyvind Tangen, 63, captured nature at its most mysterious and beautiful while on board a research ship 660 miles north of the Antarctic. His stunning photographs of brilliantly colored icebergs, remind Tangen of,� "...striped candy I bought as a child." His images remind us of nature's eye-candy, which is now forever documented as a testament to the majestic beauty that unfolds on our planet.